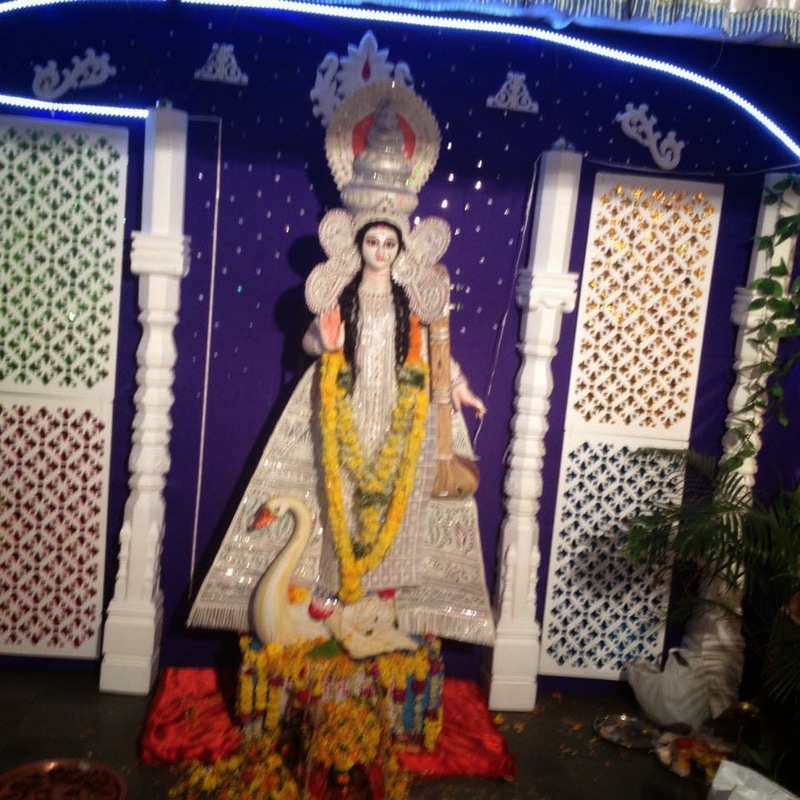 This year Delhi Bengalis celebrated Saraswati pujo on Saturday while in Mumbai we did so on Sunday, 25th January. I am not sure what they did in Kolkata. Saraswati is the Bengali goddess of knowledge and the festival offering prayers to her marks the beginning of spring. Like in all Bengali festivals, there is a food angle to this too. 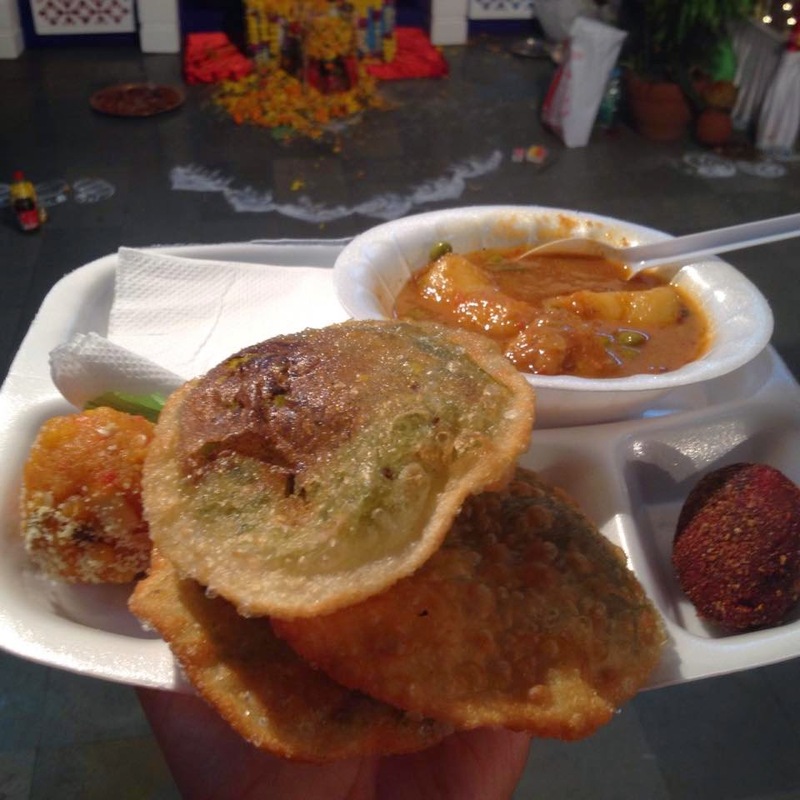 Saraswati pujo is all about the khichudi bhog served in the afternoon. Khichudi is the Bengali version of khichdi which takes different forms in different parts of India. It is made with rice and daal. You can get my recipe for khichudi which is based on what I learnt from my grandmom here . I normally go to the Bandra Notun Palli Saraswati pujo every year but I missed it this afternoon. I missed meeting my friends from the puja, I missed serving food to those who queue up and of course missed eating the khichudi. To make up for it, I dropped in at the pujo, which is held in the Bandra Hindu Association premises, at night after a walk in Carter Road. I walked in to see all the familiar faces...Kaushik, Sam, Nobo, Rana, Raja, Souptikk, Subroto, Gautam and all the uncles and aunties and the younger ones who make me feel so at home whenever I land up at the festivities. Most of them are Bengalis who are born in Mumbai or who have grown up here. These festivals are our way of reconnecting with our Bengali roots and Notunpalli is doing a stellar job on this front. After the quiz there was a shonkho (conch) blowing competition and a lamp lighting one. By then a group had formed around me and the topic of discussion turned to food. I wonder why. Sam who had first introduced me to the Notunpalli team a few years back saw me and said, "Kalyan I have turned non-vegetarian again'. I broke into a big smile, shook his hands and said "congratulations". While Saraswati pujo is all about vegetarian food our discussion inevitably turned to matters of meat. Raja held forth on how the restaurants in the Bengali temple town of Tarapith serve mutton which is cooked sans onion, garlic and ginger. "Taste ki kore aashe? "(where does the taste come from?) said a dumbfounded gentleman. After much pensive and disturbed discussion the group agreed that the said mutton dish must taste like a stew. "But even stews have onion" said our still flummoxed friend. Raja, who seems to be an expert on the subject, then gave a lecture on how one should not eat non-veg in places like Kashi or Jammu which serve largely vegetarian food. Not out of deference to religious sentiments though. 'The meat won't be fresh' concluded Raja. The discussion then moved to how both Kolkata and Mumbai got their fresh water fish from Hyderabad. Gujarat fisheries have shut down said someone confidently. I gently moved away to join Kaushik, who is in charge of the bhog (food served), and went backstage where Gobindo Babu and his team was preparing the dinner. 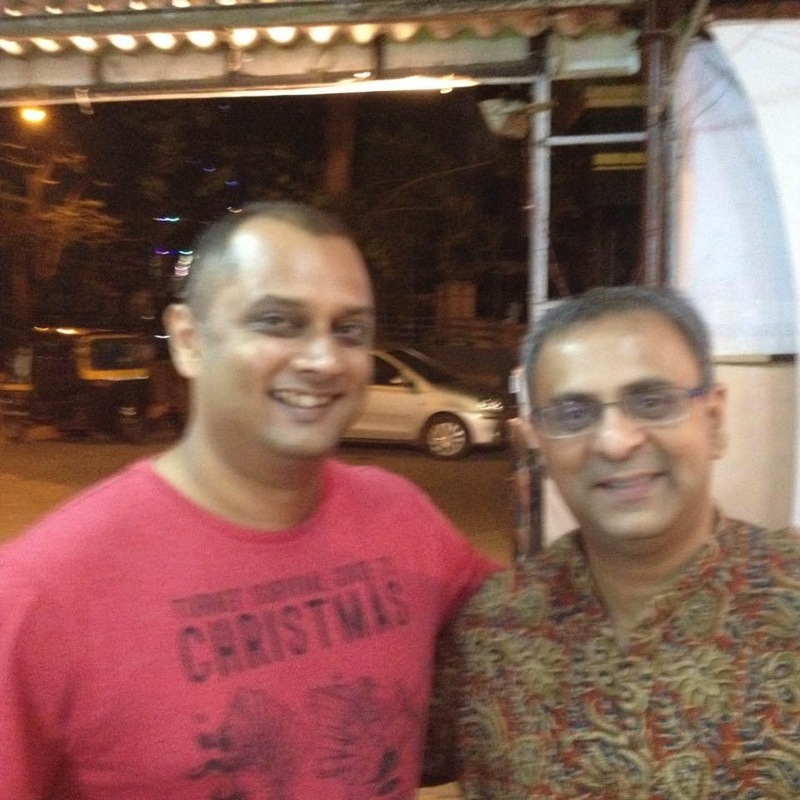 Kaushik looked at me with mischievous eyes and pretended to scold me and said "ever since you have made Gobindo famous in social media he has increased his rates by three times". The dinner was ready and I paid for my token and queued up for a feast of Bengali vegetarian snacky items. The dinner is charged at Rs 70 per head versus the lunch which is served free to all. There were vegetable chops - mashed potato, beet and carrot deep fried croquettes with a smattering of fried peanuts in them. They brought back memories of the beetroot tikka that I recently ate in Delhi's Indian Accent except those were steamed and lacked the raciness and adventure of the deep fried Bengali sweet shop goodies here. The vegetable chop was so good that I took a second helping. Reminded me of my college days when I used to have vegetable sandwiches in the canteen. Come to think of it, one grew up on a diet of egg rolls and shingaras (samosas) for snacks. That was an innocent world. Then there was koraishootir kochuri - deep fried Bengali flat breads made with refined flour and stuffed with a green pea mash. These are of course best had hot. 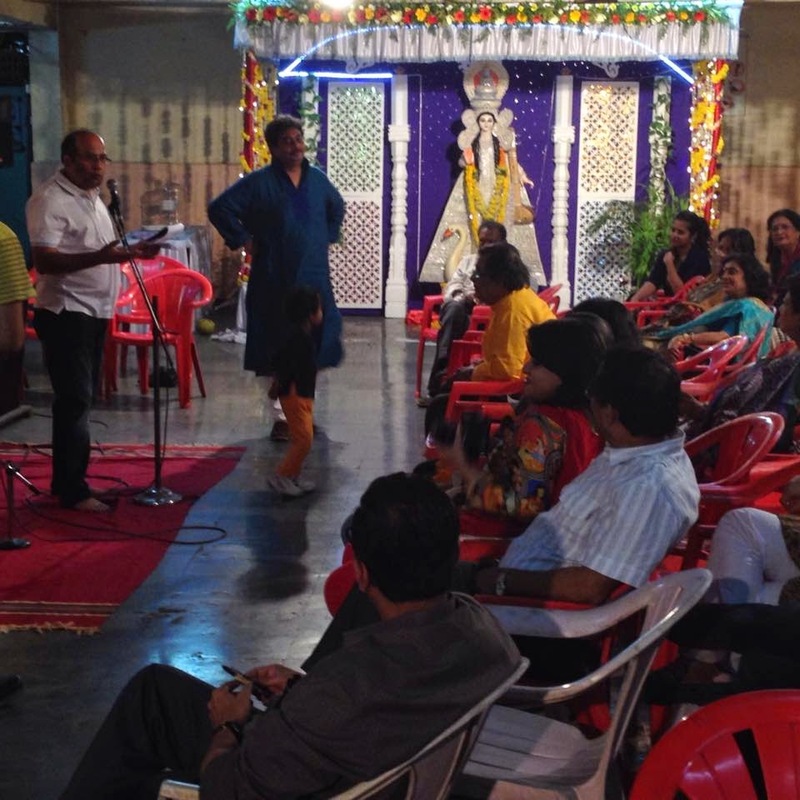 The ones at the pujo were on the crisper side. Some like Sam said they would prefer softer ones. To go with the kochuri was a lovely potato and green pea curry which had a beautiful flavour of garam masala running through it. This, as Raja pointed out, is different from alur dom which is a drier dish. For desserts there was a huge dorbesh. Dorbesh is the Bengali version of the North Indian laddoo. Except it is softer, sweeter, juicier, has raisins and cashews and is what every laddoo should aspire to be. The dorbesh was so good that I ignored comments from friends I met in the afternoon about looking like I have put on weight and finished the gigantic laddoo. 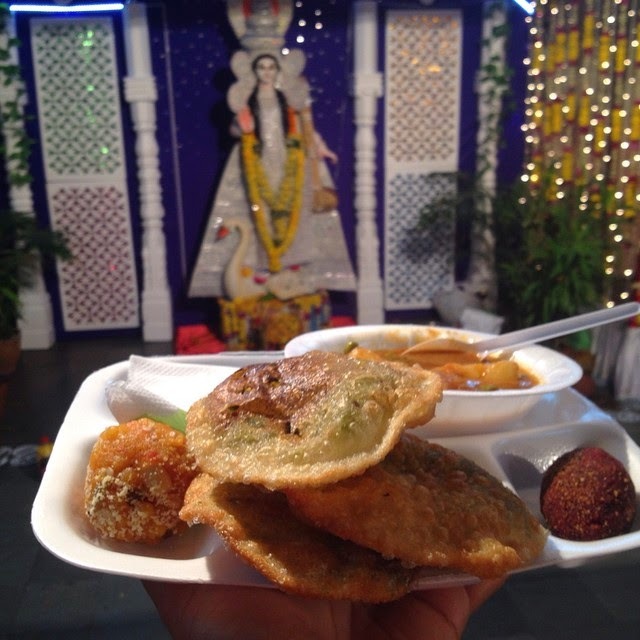 For us Bengalis, food, after all, is religion. "Khichudi is the Bengali version of the Indian dish, khichdi." Really? So while khichi is an Indian dish, khichudi is not?!? :-D Has Bengal declared its independence from India? Or are you just another Bengali idiot who thinks everything Bengali is somehow superior to anything else from any other part of the country? Not just Bengalis, for Hindus everywhere Saraswati is the goddess of knowledge and learning.